A lightweight yet rugged receiver that provides all the information needed for faster, more accurate locates. Trace any frequency from 10 Hz to 35 kHz. Active Line Trace Frequencies * 128 Hz, 1 kHz, 8 kHz and 33 kHz. Weight 3.5 lbs. (1.6 kg). * 30 user definable frequencies can be set from 10 Hz to 35 kHz. 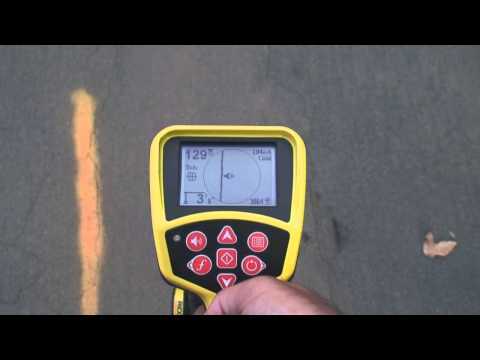 SeekTech SR-20 Locator is rated 4.8 out of 5 by 12. Rated 5 out of 5 by BZSS from This is a great product. Using the sonde feature, it saves a lot of time diagnosing problems with buried pipe. Saves time and aggravation with broken utility lines. Able to locate private lines and unmarked utility lines on job site. 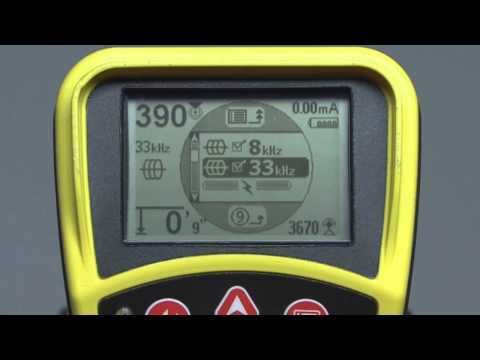 Rated 5 out of 5 by 44kilohertz from My Favorite Locator The sr-20 is a great locator,but one that is tricky to use.Huge learning curve but if you can master it the benefits of this locator can save you a lot of time and headache.This locator gives you a lot of information,and heads up of other utilities around you.Great tool addition,especially if your a professional locator.It has simple features for novice locators,but a lot of features for pros.I would call this locator a true custom locator. Rated 5 out of 5 by ww2496 from The SeekTech SR-20 performed as advertised. 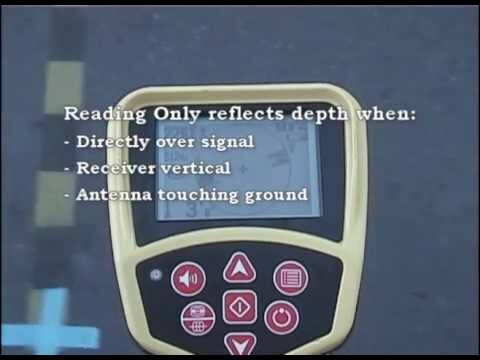 The SeekTech SR-20 coupled with the ST-510 Line Transmitter and Inductive Signal Clamp made locating underground utilities very reliable. A nice safety feature is it will alert you to additional live cables within the vicinity of the cable that you are trying to locate. The multiple frequency range is handy to pin point your utility. We also use this in conjunction with the SeeSnake camera sonde feature to verify clay drainage pipe routes as well. It takes a little know how and experience to learn how to use the SeekTech to its fullest potential due to all the things it is capable of doing. Overall a great product. Rated 5 out of 5 by sramer from Easy to learn. This locator is pretty easy to learn and once you learn it easy to use. We have several locators and this is by far the preferred model. we have 8 at this time and will probably buy more soon. I recommend this if you are looking something that is easy to use and want to be able to expand your options with location of other utilities. Rated 4 out of 5 by baker from Great item We have tried different brands of line locators and this by far is my favorite unit. Rated 5 out of 5 by dan011 from Outstanding locator! I actually work for a lawn sprinkler company as a service technician. We routinely call 811 to have all the utilities located, but would still run into problems because the locations were never accurate. So I did some research, found the Sr-20 and tried it out. We haven't hit a utility since. If it wasn't the law to call 811 I wouldn't even bother with them. I start every job re-doing the mark-outs with my own. My marks are always directly on top of the utility. Even better then that is the SR-20 tells me exactly how deep it is. The time and energy this one piece of equipment has saved us is almost immeasurable! We also use it to locate sprinkler lines as well.. This is a fantastic piece of equipment and I highly recommend it. I had an interaction with Telecom professionals who works on laying and management of telecom OFC cables (with in built tracer lines). They had used different locators before but due to the shortcomings have upgraded to RIDGID locators. The concept of multiple ways of confirming a signal thru Signal strength, Proximity Signal and interactive trace lines were well appreciated. 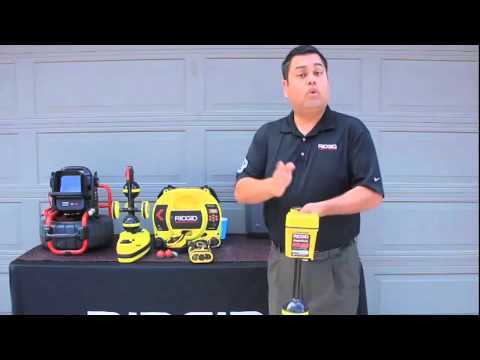 But they thought it would be ideal, if RIDGID can give reference values for Current strength, Signal strength and Proximity Signal which will indicate a strong locate or signal. These Reference values (in a range) can serve as a benchmark for strong locate or signal along with the current set of indicators. 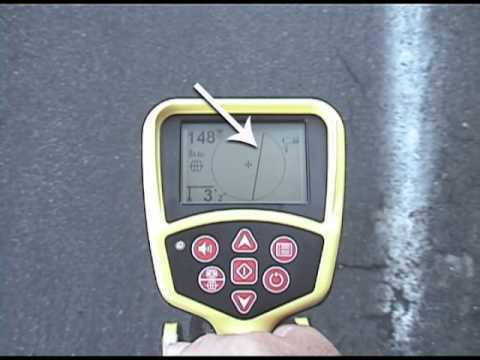 One of the biggest advantages of the Seek Tech locating equipment is its ability to identify / trace a target utility with four different key indicators. What makes them all unique is the way they are calculated. Each indicator is calculated by using a different combination of antennas or calculations based on multiple readings. What this does in a sense is give the locator the built in &ldquo;second, third and even fourth&rdquo; opinion as to the location of the target utility. The problem with stating a certain utility should be within a certain range is that there are too many variables that the locator cannot control. The type and quality of the conductor, the soil conditions, and any interference in the immediate area can all affect the quality of a locate. What one should be looking for is the agreement of these indicators rather than a specified range for each on an individual basis. If I can get my balance arrows, my trace line, signal strength and proximity to all agree on a specific location I have the highest degree of confidence that I have made a good locate. The fewer indicators that I have in agreement, the more distortion that is present and this is an indicator that I need to change some of the things I can control, like improving my ground or changing my frequency. Does this work without line transmitter? I want to locate PVC drain pipe. Can SR 20 detect with mental snake in the PVC pipe? How can I update the firmware on SR-20 and where to download it. The nearest service center is located in another city very far. Thanks.